Weekend Lyrics from the famous singer Ranjit Bawa. This song is produced by Gunbir Singh Sidhu & Manmord Sidhu. And the music has been created by Snappy. 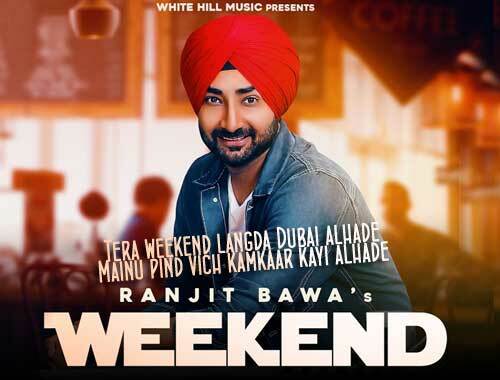 Weekend Lyrics – Ranjit Bawa: This is a latest Punjabi song produced by Gunbir Singh Sidhu & Manmord Sidhu. Its music is directed by Snappy and lyrics written by Rav Hanjra.